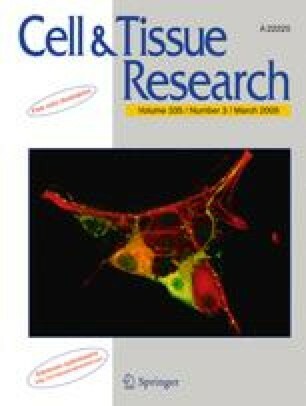 Human mesenchymal stromal cells (MSCs) offer great hope for the treatment of tissue degenerative and immune diseases, but their phenotypic similarity to dermal fibroblasts may hinder robust cell identification and isolation from diverse tissue harvests. To identify genetic elements that can reliably discriminate MSCs from fibroblasts, we performed comparative gene and microRNA expression profiling analyses with genome-wide oligonucleotide microarrays. When taken globally, both gene and microRNA expression profiles of MSCs were highly similar to those of fibroblasts, accounting well for their extensive phenotypic and functional overlaps. Scattered expression differences were pooled to yield an MSC-specific molecular signature, consisting of 64 genes and 21 microRNAs whose expressions were at least 10-fold and two-fold higher, respectively, in MSCs compared with fibroblasts. Genes either encoding transmembrane proteins or associated with tumors were relatively abundant in this signature. These data should provide the molecular basis not only for the discovery of novel diagnostic markers discriminating MSCs from fibroblasts, but also for further studies on MSC-specific signaling mechanisms. Sohyun Bae and Jung Hoon Ahn contributed equally to this work. This research was supported in part by a grant (SC-2140) from Stem Cell Research Center of the 21st Century Frontier Research Program, and in part by Korea Science and Engineering Foundation grant (M10641000037) funded by the Ministry of Education, Science and Technology, Republic of Korea. The online version of this article (doi: 10.1007/s00441-008-0729-y) contains supplementary material, which is available to authorized users.